The system evolved from a collection of printed reports and info graphics into video analysis software and statistical data tools supplied to professional and amateur football teams, governing bodies/professional organizations and media partners around the world. Match Analysis is one of the pioneers of statistical analysis in football. In 2002, the company released Mambo Studio, the first video editing and retrieval system for football. In 2004, Tango Online was launched to replace printed reports with the first instant access online video database of a complete league. 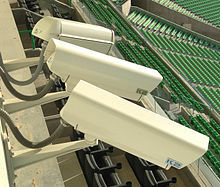 In May 2012, Match Analysis acquired Edinburgh based Spinsight Ltd purchasing the intellectual property and other assets relating to its K2 Panoramic Video Camera System. Match Analysis signed strategic alliances with Major League Soccer and Liga MX in 2013. 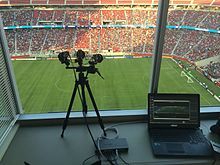 In addition Match Analysis's K2 Panoramic Video Camera System was implemented in every stadium across Major League Soccer and Liga MX in the summer of 2013. During November 2015, Match Analysis participated in discussions with IFAB and FIFA at their headquarters in Zurich, Switzerland to advise on global standards for electronic performance and tracking systems. In May 2016, Match Analysis announced the introduction of Tango VIP their new foundational technology platform for their extensive online presence. Match Analysis tools and services provide video indexing and archiving, statistical analysis, live data collection, player tracking, fitness reports, and performance analysis. The company's product range includes Mambo Studio, K2 Panoramic Video, TrueView Visualizations, Tango Online, Tango Live, Tango ToGo, Player Tracking and Fitness Reports. The company has worked with eight different national teams including Germany, the United States, and Mexico and has relationships with over 50 professional clubs. Match Analysis currently supports league-wide deals with Major League Soccer and Liga MX. Over the past decade, Match Analysis has worked with almost every major professional club in North America and media outlets including the New York Times World Cup coverage. Current Match Analysis clients include all 18 Liga MX clubs in Mexico, 17 MLS clubs, the Mexico national team, PRO Professional Referee Organization and a wide array of college and amateur sides. ^ "A Modern Take On Analytics". FC Business, April 2013. ^ "PRO to use Match Analysis to assess every official's performance". PRO Professional Referee Organization, July 2014. 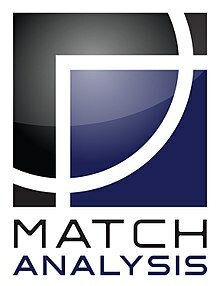 ^ "Match Analysis Acquires Spinsight". Soccerex, May 2012. ^ "New panoramic technology will leave players and referees with nowhere to hide". Daily Express, October 2013. ^ "MLS extends relationship with Match Analysis to allow tracking of every player movement". Major League Soccer, October 2013. ^ ""Liga MX and Match Analysis Announce Strategic Alliance". Medio Tiempo , February 2013. ^ ""MLS on Leading Edge of Soccer Technology". FC Business, October 2013. ^ ""FIFA and IFAB to develop global standard for electronic performance and tracking systems". FIFA, October 2015. ^ "Match Analysis Announces New Cloud-Based Video Infographics Platform for Tango Online". PRWeb. Retrieved 2016-05-17. ^ "2010 World Cup Rankings". New York Times, July 2010. This page was last edited on 4 December 2017, at 04:31 (UTC).